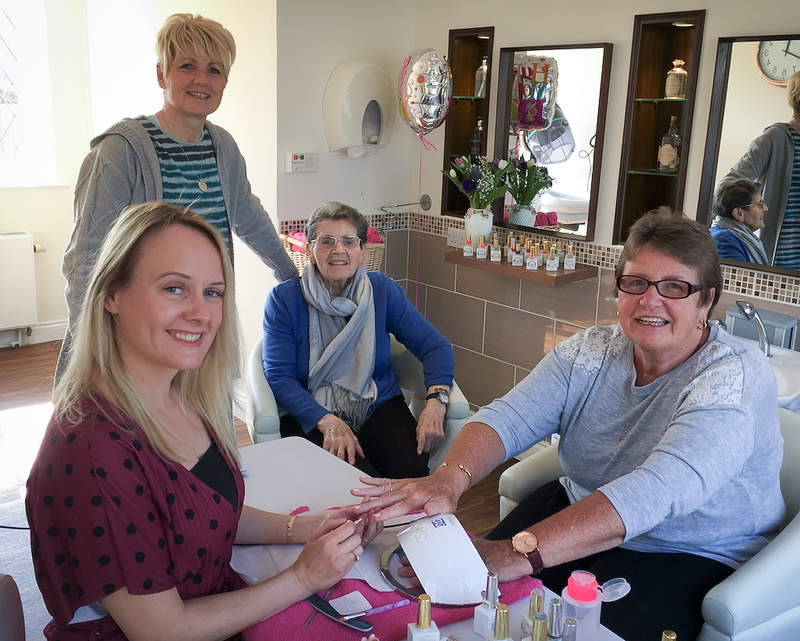 A local Great Grandmother, and mother of six, has been treated to a nail pampering session at our Luton Care Home to celebrate Mother’s Day. Eileen Gleasure, who is a resident at Little Bramingham Farm Care Home in Bedfordshire, was joined by two of her daughters for the special day. 86-year-old Eileen has six children, nine grandchildren and six great-grandchildren. She said the nail pampering session, in the care home’s beauty salon, was a perfect Mother’s Day gift. Eileen said: “As a mother of six I suppose I am entitled to a little treat to mark Mother’s Day! Eileen grew up in Ireland but moved to London when she was just 18. She is familiar with the beauty industry after spending several years working as a hairdresser when she was younger. Daughter Margaret Roan said the nail pampering session was a fantastic way to celebrate Mother’s Day as a family. Eileen, who was married for 55 years, has lived at our Luton care home for just over a year and is never short of a story to tell carers. Little Bramingham Farm Residential Care Home, on Leamington Road, is based in a historic Grade II listed farmhouse with purpose-built extension and picturesque gardens. If you would like to find out more, email hello@fote.org.uk or phone 01582 582 433.